From the time she was a young girl, Jane Jacobs' curious mind made her a keen observer of everything around her. When she grew up, she moved to New York City, a place full of new wonders for her to explore. It was there she realized that, just like in nature, a city is an ecosystem. "It is made of different parts — sidewalks, parks, stores, neighborhoods, City Hall... and people, of course. When they all work together, the city is healthy." So, when city planner Robert Moses proposed creating highways through the city that would destroy neighborhoods and much of what made New York great, Jane decided she couldn't let it happen. She stood up to the officials and rallied her neighbors to stop the plans — and even got arrested! 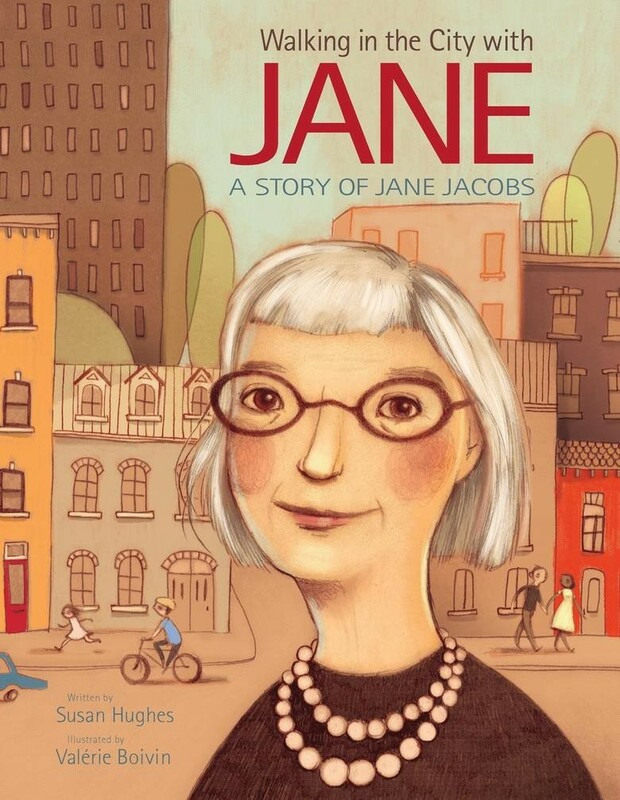 Jane's bravery and ideas had a huge influence on urban planning that is still being felt today. 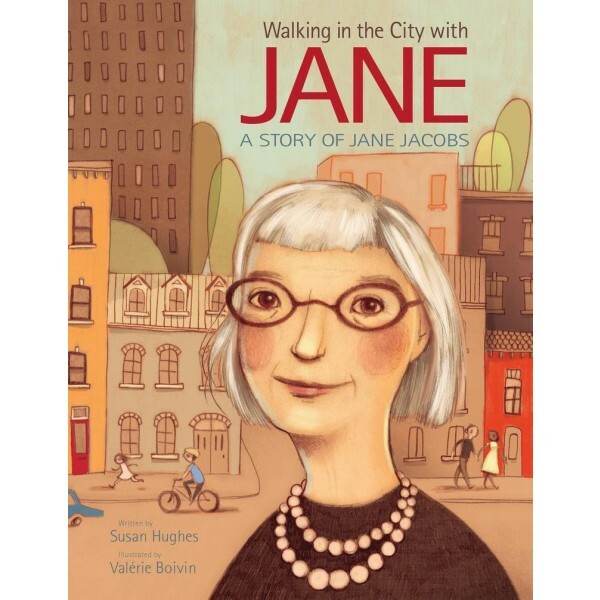 In this lively and engaging informational picture book, award-winning author Susan Hughes provides a fictionalized story of the life of Jane Jacobs, one of the world's greatest urban thinkers and activists. Stylized illustrations by Valérie Boivin perfectly evoke the story's time and place.